Folio Society - buying and selling on the internet, always wanted. We buy most Folio Society books in nice condition; both large and small collections, recent titles and older ones. Please send a list of titles and their condition, along with your location, and we will send a quote if we are interested, or a polite refusal if not. We can pick up large collections, while DHL will pick up smaller collections (up to 25 kg - around 25 books) for less than �10 if booked through Parcel2Go. The link below takes you to a searchable list of Folio Society publications since 1947, including a better guide to prices we pay for particular items. The Folio Society was founded in 1947, with the intention of producing "editions of the world's great literature in a format worthy of the contents, at a price within the reach of everyman." I think they have been successful in that aim, and in the last half century have produced books of consistently high standard which are very pleasant to handle and read. There are many Folio Society collectors looking (in some cases) to collect all of the books produced since 1947, or some with more modest aims like collecting all the Folio Shakespeare collections (the sonnets are particularly popular), or the issued items by particular authors. The quality of the books is in general excellent. Some of the earliest ones were produced with conventional dustwrappers, but from around the mid-1950s they were usually issued in slipcases, so that even some of the oldest Folio Society books can still be found in excellent condition. Some of the bindings were particularly attractive, with the occasional silk covers of volumes like Collette's Cheri being quite sought after. The illustrations have also been distinctive, though not always in my view unqualified successes. Some of the more distinguished artists featured are Salvador Dali, Edward Ardizzone and Mervyn Peake. The Daily Telegraph featured an article about the Folio Society written by author and bookman Joseph Connolly. He rang me up to talk about the books before writing the article and was kind enough to give me a mention. There are a few characteristics that Folio Society collectors seem to have in common. One thing is that they look after their books; it is unusual to come across a tatty collection. Sometimes individual volumes can be worn, but it is generally the slipcase that takes the major wear, the books themselves often being in superb condition, even if over fifty tears old. As there have been around 1500 titles, with numerous reprints and variations published since 1947, acquiring all of the Folio Society titles is a daunting task. However, I am aware of one or two collectors who have done just that. I sometimes look round at the large folio stock I have, and think that if I had read them all, I would have acquired a huge amount of knowledge, and enjoyed the bulk of the world?s finest novels. Some less ambitious collectors go for the first 100 folio books, most of which can be acquired at reasonable cost. Others go for the ?Presentation Volume? from each year. Others go for uniform sets by various authors. One of the highlights of the Folio Society output is the Anthony Trollope Series published in the 1990s. This ran to forty-eight volumes, and is one of their most popular sets. There have been three matching sets of the sixteen Dickens novels, a set of matching Conrad novels, Hardy novels, numerous boxed sets of Jane Austen and Bronte novels. For non-fiction, there is Gibbon?s eight volume set of The Decline and Fall of the Roman Empire, and the eight volume Barbarian Invasions of the Roman Empire by Hodgkin, and many other matching sets that could be built up over many years. Other collectors look for particular illustrators. Virtually all Folio Society books are illustrated, many by some of the finest illustrators of their day. In the 1990s, there was a series of fairy stories featuring many of the finest book illustrators like Arthur Rackham, W Heath Robinson and Edmund Dulac. The Folio Society has also commissioned contemporary artists to produce work of outstanding quality for many of their works, such as Charles Keeping for the Dickens books, and Francis Mosley for the Conrad series. Other major artists are also featured in a number of titles, such as Mervyn Peake, Val Biro, Quentin Blake and even Salvador Dali who produced the illustrations for Shakespeare?s ?As you like it? (1953). Talking of which there are some Folio Society books that for one reason or another stand out. ?As you like it? 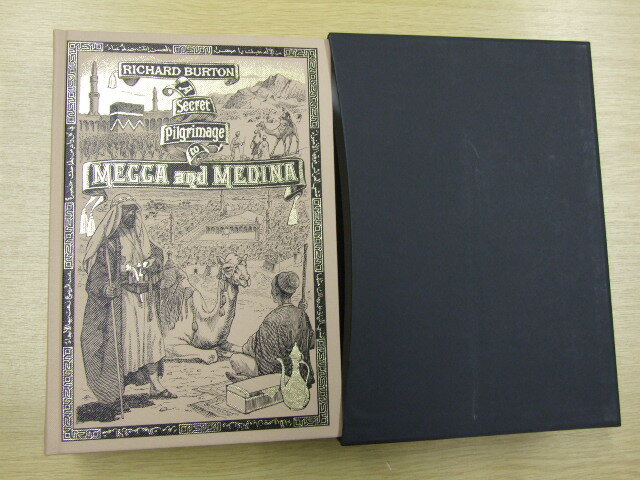 is one, with the version with illustrated dustjacket from 1953 being particularly sought after. The 'Lord of the Rings' set from 1977 is also very popular, as is the Gormenghast trilogy by Mervyn Peake. ?Brave New World? is a triumph of design, with its silver cover, though not to everyone?s taste. In fact, the Folio Society has been very imaginative and innovative with its bindings over the years, including the quirky ?Pather Panchali? from 1971, bound in open weave cloth described as Japanese grass-paper by the Folio Society at the time. Over the years, the Folio Society has produced a number of bibliographies, starting with the slim volume Folio 21 in 1968, celebrating 21 years of the organisation, and culminating with Folio 60 in 2007, which is a comprehensive history of Folio Society publications, with details of everything which they have published, and endeavouring to cover all the many reprints and variations. This gives full bibliographic details (number of pages, binder, paper used, illustrator and number of illustrations etc) and is a terrific source of information for a keen Folio Society collector. This is a major achievement. Although The Folio Society has been meticulous in detailing the year of publication, and whether a volume is a reprint, there are some hugely complicated issues around the concept of ?edition? and ?impression? of the books published. This is compounded by the fact that many volumes were published singly and in sets, with different impressions sometimes being grouped to make another set if too many were printed. This is all covered in great detail within Folio 60. Ardis Books have been selling Folio Society books for over ten years, and from our records I can see that we have sold over 17,000 Folio Society volumes in that time. We have seen nearly all (but not quite all) of the volumes listed in Folio 60. It occurred to me that it would be useful for collectors to have online access to find the titles published by The Folio Society in that time, so that they could quickly find missing volumes from sets, or titles featuring particular artists and so on. With that in mind, we produced The Folio Society Collectors Archive, which provides that information in a searchable form. We have also provided links to pictures of items from our own archives where they are available. Some of these titles are now quite rare, and even The Folio Society hasn?t seen all of the many variants documented in Folio 60. The archive is by no means as detailed as Folio 60, drawing on our own experience rather than publishing history records. However it does include all titles published up until 2006. It follows the numbering system of Folio 60 for ease of reference. Those volumes which we have seen since have all been assigned a reference number of 9999 as there is no official number for them yet. Information is given for each Folio Society edition, including author, title, artist, and year of first publication. We will add series references in due course so that it will be easy to find matching volumes of a particular series of books. Please let us know if you find this useful, and if you find any errors in the data presented. There are some minor variations from the strategy used in Folio 60. We have defined a new edition of a book to be where there is a major difference in appearance compared to a previous version, including if a new artist has been used. This is very similar to the approach adopted by Folio 60, but might give a bit of extra information for those wishing to see at a glance when different versions of a title come along. This is still a largely subjective process. Note that a new edition in these terms does not always have a new Folio Society reference number. Second, the publication date is used by Folio 60 when referencing a title. We use the date in the book itself, as I think that is more natural for book collectors. These dates are nearly always the same, but some titles published at the end of one year actually have the date of the following year printed inside. We have always used the date in the book, irrespective of whether the book actually appeared in the previous year. Click here to see the Folio Society Collectors' Archive where you can search for authors, titles and artists in books published by the Folio Society since 1947.